We can never guarantee success, but we can increase our chances by taking variables off the table. Sounds good, right? But as the day went on, things began to change. The event was a “roundtable” discussion between a moderator and two CEOs who each had a net worth in excess of a billion dollars. They have “people.” There was a fair amount of “hovering” going on, and I felt like I was under a microscope all day. Apparently, this was an annual event and last year’s audio engineer had done a poor job. Of course, it’s nice to have a reputation for being able to handle tough gigs but I felt like I was reaping the skepticism earned by someone else, which is never fun. Three omnidirectional wireless lapel microphones in close proximity create a minor nightmare in a room with an RT60 exceeding 2 seconds. Due to last year’s mishap, the tech director requested backup handhelds as well as a backup bodypack with a lavalier mic. Add the two RF handhelds for audience questions and we’re up to eight channels of RF. The additional RF from the venue’s comms and nearby DTV meant coordination was in order. I was initially told I’d have to mix from the lighting booth, but I requested approval to mix from a small recessed cutout in the back of the house. I’ve never bought into the “we don’t want you to be noticed so we’ll hide you in a closet” logic. The audio engineer is certain to be noticed if the event sounds terrible or is plagued by feedback – two things that are far more likely to happen when being forced to mix from a booth. I got word that I was allowed a 32- x 61-inch space in the back to run audio. But wait, there’s more: the event would be a featured livestream on a web platform that’s within the top 10 most trafficked websites in the world. And of course we needed front fills and a foldback onstage for the question and answer session. Oh, and the president of the host organization would be speaking as well, so we set up the podium with a mic (and a backup). I mixed to left/right and routed that to matrix 1/2 for the PA, followed by matrix 3 for the front fills and matrix 4 for the stream feed. The two “wild” handhelds for the Q&A were routed to mix 1 and then to matrix 5. I always start with outputs first: after verifying the mains, next came front fills. Since the venue has no permanent fills, I had to set EQ, level and delay via the console’s matrix DSP, consisting of a high-filter rolloff at 12 dB per octave to match the mains and a few filters above 1 kHz. Generally I employ a gentle high-pass filter around 150 Hz and am not really concerned about low mids because it’s a front fill and will be steamrolled by the energy from the mains in that frequency range anyway. Because the onstage foldback loudspeaker was the same model, I copied over the EQ and then set the level with the help of the TD. After I verified and matched all the system outputs, three crew members sat in place, allowing me to dial in the RF, then new batteries and power locks for all. Since I knew the organizers would be particularly sensitive to ringing mics, I ran a direct out from the console’s solo bus into (Rational Acoustics) Smaart’s spectrum analyzer and spectrograph, along with a room mic feed. This was a helpful confirmation of what I was trying to hear from my less-than-optimal mix position, in a professional environment where if ringing is audible, it’s already too late. The event went about as well as could be expected – not as much gain before feedback as I like but no feedback or ringing problems, and when I got home and checked the livestream recording, it sounded better than expected. Don’t get me wrong – day-of-show changes are part of life in production, especially for corporate-type events. I’m not whining about that, and if last-minute changes bothered me, I’d work in a different field. My point is that if I’d let my guard down or told myself “Eh, it’s just three inputs, I’ll be fine. I don’t need to label the cables. I don’t need to ring the mics out. I don’t need to coordinate the RF,” I would have had a nightmare of a show and likely burned a few bridges. We must never let our guard down, never get too comfortable, never go on autopilot. Complexities have a way of creeping in one at a time until you look down and realize the input count has quadrupled. — So I check the entire installed PA, even though I mix on it every week. — I know left and right match, because I checked. — I know the front fills match the mains in level and tone, because I checked. — I know the RF frequencies are clean, because I checked. — I know the batteries are good, because I checked. 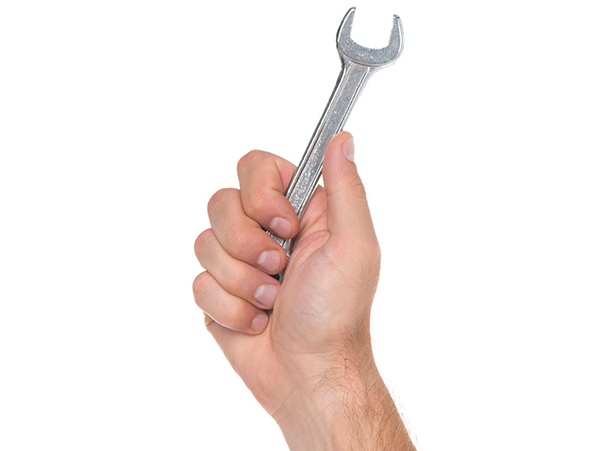 Get that all out of the way early and there’s time to focus on the inevitable wrenches that will be thrown at us. We can never guarantee success, but we can increase our chances by taking variables off the table. Go on autopilot just one time, don’t check something, and that’s the night the wrench is going to hit us right in the forehead.